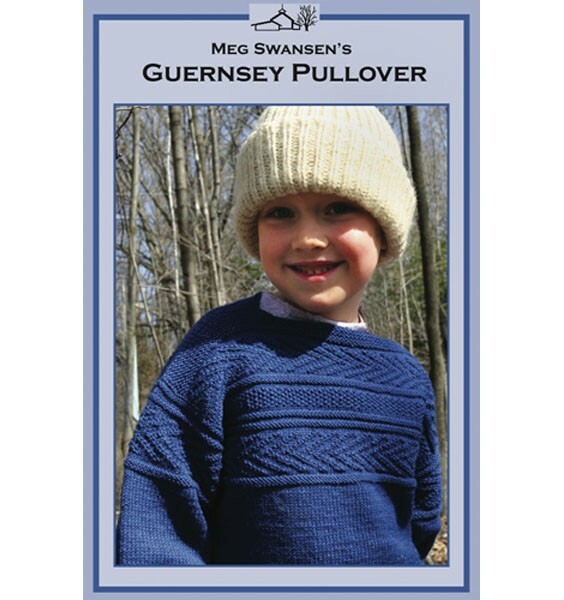 Go along with Meg on a knitting vacation to the lovely Oregon coast and knit a wonderful Guernsey Pullover. Worked in the round to the underarms, then flat to the shoulders - there is no cutting! Instructions for child and adult sizes. Meg demonstrates the following techniques: Channnel Island cast on, split Garter stitch welt, Indian Corn stitch, gussets, texture patterns, Garter stitch weaving, knitting up around armholes, EZ's Sewn cast off, and more! 60 mins. DVD.